Imagine a spa-like, concierge dental experience where you are the V.I.P. enjoying a one-on-one visit with your personal dentist. From the moment you walk through the door, you are our special V.I.P. guest. Expect personal attention, first-class treatment, and exceptional care. From V.I.P. 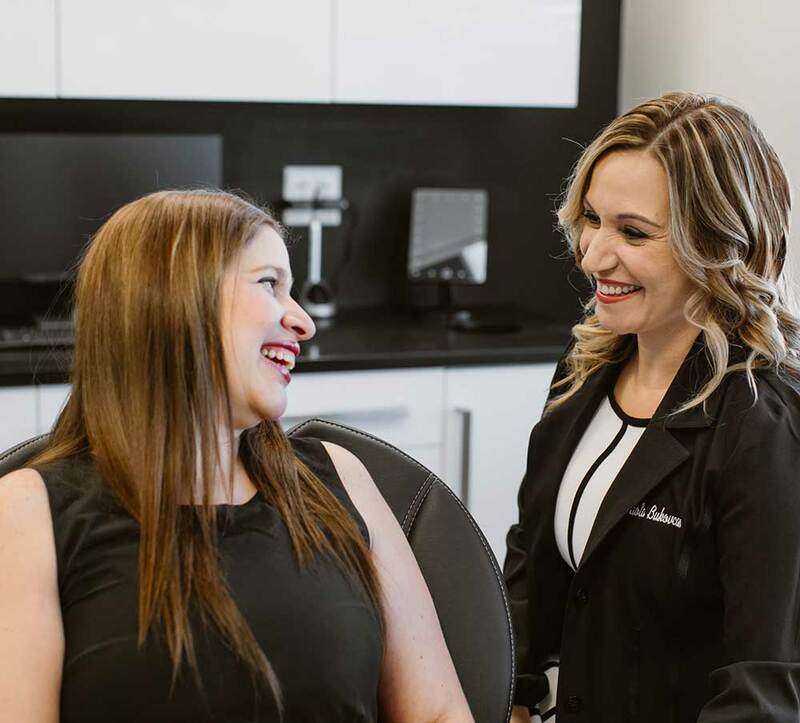 dental care for the whole family to Concierge Cosmetic Solutions for those who dream of a stunning smile, Dr. Paola delivers exceptional results. Our captivating design gives you a taste of the experience that awaits. Enjoy V.I.P. attention in our fresh and calming treatment areas. Elegantly simple, this is the perfect place for a hope-filled conversation about your smile. We use advanced technology like this amazing device, which takes high definition 3D images of your teeth without the discomfort of traditional x-rays. We invite you to experience Sleek Smile Studio. Call today or schedule an appointment online to set up your first visit. We’ll be in touch soon. Please call 267.982.5713 or use the form below to schedule your appointment. Thank you! Your request has been received. We will call or email you to confirm your appointment date and time.